Young people will play a key role in reducing tensions between Sheffield communities, says a new report. 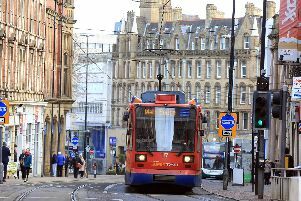 Sheffield Council has looked in-depth at migration, poverty, the economy and the changing population of the city and has spent the past three years working on a Community Cohesion strategy for the city. This is part of a series of stories looking at this strategy. The aim is to raise understanding of different cultures and new communities, communicate about facts, address local concerns and tackle perceptions of unfairness. Report author Angela Greenwood, community services manager at Sheffield Council, says young people from different communities will be encouraged to come together and take part in positive activities. The report says there will be a number of changes including: “Safeguarding the wellbeing of children and young people in communities in a robust and sensitive way that does not stigmatise or demonise communities. “Providing early years education, childcare and school place so that there is diversity in schools and to enable schools to serve whole communities effectively. The report adds: “We will maintain relationships with schools and other agencies and encourage open communication between schools, local residents, agencies and wider media. “We will work with the police, schools and other agencies to develop, monitor and respond in an effective way to emerging community tensions. There will be “positive activities” outside of school for children and young people, to help them avoid antisocial behaviour or becoming involved in gangs. School will be encouraged to do ‘twinning’ projects to foster inter-cultural contact between pupils in different schools. The report says: “This both reduces tensions and dispels myths about different communities. It reduces disaffection amongst some young people and is a diversion from being linked to extremist groups. “We will develop our strategy on new school places in a way that minimises the potential to inflame community tension. There will be support for local cultural festivals, events and celebrations to open up the contact between diverse communities. The council has worked with voluntary, community and faith organisations to discuss the new strategy and the result was an in-depth report called Sheffield Together: The Sheffield Cohesion Framework.